​IDAHO, FOR AS MANY HOURS AS YOU SEE FIT! 2019 RACE REGISTRATION OPENED JANUARY 1ST & CLOSES MAY 14TH. REGISTER HERE VIA ULTRASIGNUP! 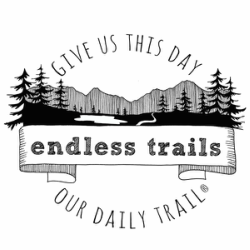 As McCall locals, these are Matt & Kerri's beloved backyard trails, which means we're very passionate about them, and extremely grateful for the opportunity to work with Ponderosa State Park to ensure these trails get the continued love and support they need to thrive. For our inaugural event, runners helped us raise $2,000 for the park! Writing that check was really fun. Because they're a blast! (And also deceptively tough!) In case you haven't noticed from our other fundraising trail races--Cottontail and Carkeek (now in its 13th year! )—we really dig timed loop events. They're ridiculously fun [ridiculously tough, too], minimize our impact on the trails and other trail-users, and we often have runners come out and run their farthest distance, simply because they're having such a good time. That's the beauty of timed loop events: You can sign up and run for two hours, or four hours, or six hours, OR make our day and [be a total baller, and] run for all twelve hours. In addition to being tough and F-U-N, our races are also low-impact. You won't find any paper products at the Sharlie Shuffle, and we avidly support local businesses, which means prizes and awesome aid will come from McCall-area businesses. We aim to have less than ONE bag of trash at race-day's end, and in all our years of directing races, that's a goal we proudly hit every year. 4.79 miles of varied trail terrain, every single loop. Gain per loop is right around 640'. Trust us when we tell you it'll hurt (so good). 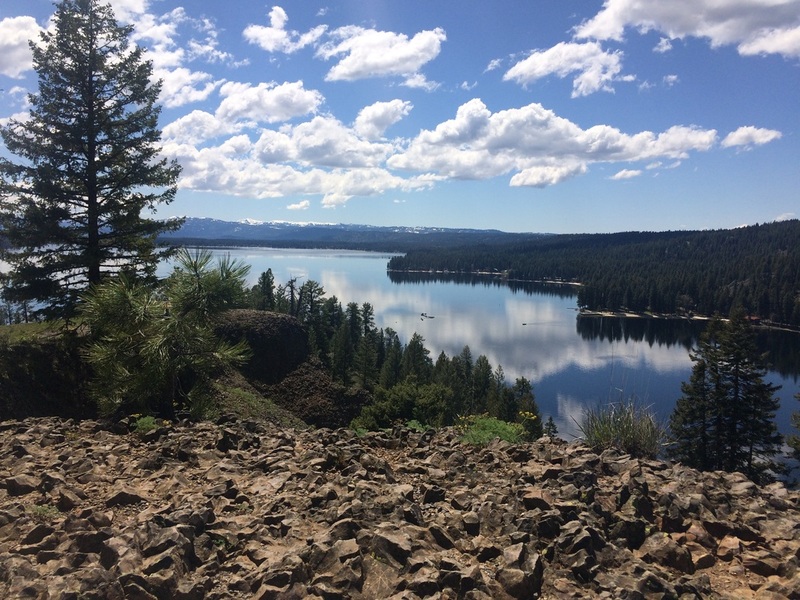 With gorgeous views of Payette Lake, varied terrain [rolling trails, rocky trails, flat trails, stairs and boardwalks, lots of single-track, some double-track, and even some of pavement], and a festive atmosphere, we think this is a race you [and your family, and friends, and well-behaved, leashed dogs] will just keep coming back to, one 4.79-mile-loop at a time. Each loop has just enough gain to keep you honest and enough varied terrain to keep you on your toes, so this "race" will definitely challenge you. But we promise you'll love it (even when you hate it). If this description of the event feels somewhat vague, don't worry--We promise we send out more detailed info to all registered participants as we get closer to race-weekend. But if you're looking for maps or an elevation profile, you're not going to find that here. Or anywhere. Part of the fun of the Sharlie Shuffle is how low-key and old-school it is, which means we like to keep the course a secret for participants until race-day, and we don't sweat the small stuff (and hopefully you don't either!). We hand-make our bibs and "medals," count laps with star stickers, and we've worked with the Park to hand-pick a brutally beautiful and sustainable course for you to run, so basically we're trying to tell you that you're in for a really really FUN day. Because who doesn't want to run a race named after a mythical lake monster? By the end of the day, it's likely you'll be shuffling a bit, and you just may have seen Sharlie out there somewhere, too. The Sharlie Shuffle is also GREAT training for any sort of tough and mentally demanding long summer or fall race (think: IMTUF 100, Bear 100, Run Rabbit Run, Western States, Hardrock, Fat Dog 120, Wasatch 100, etc. ), for helping you run longer distances than you previously thought possible, and for making you feel simultaneously so proud and like you want to cry by the end of the day (it's all very confusing, and very awesome). If you're not local, and even if you are, just a reminder that the campgrounds at Ponderosa State Park won't be open this early in May, but that also means you should be able to snag some decently priced "off-season" rates at nearby hotels and/or Airbnbs/VRBOs. Definitely find a warm place to sleep the night before the race, because temperatures will likely still be quite cold in the mornings and evenings here in our beloved mountains, and there is no overnight parking/car-camping anywhere in Ponderosa State Park. Speaking of well-built trails, trail work is at the heart of our love for trails, and central to Endless Trails' short- and long-term mission. If you'd like to sign up to do trail work in Ponderosa State Park with us and members of the Park's crew, you can do that right here. Hope to see you on the trails! Questions? Comments? Favorite Fictional Monster?